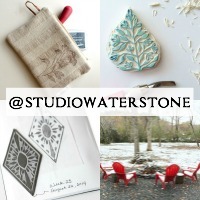 Studio Waterstone | Lori Plyler Art: December 2014 Wallpaper is Ready to Download! 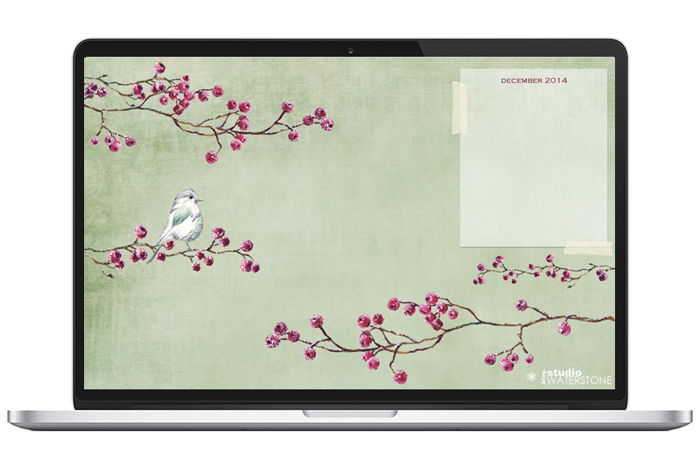 December 2014 Wallpaper is Ready to Download! Because of the busy-ness of November and December, I wasn't even going to do a wallpaper. Then one evening I pulled out some artwork and played around to make one for myself...cause, to me, going without a new wallpaper each month is pure sacrilege. Then, I felt it was even worse to keep it from you. 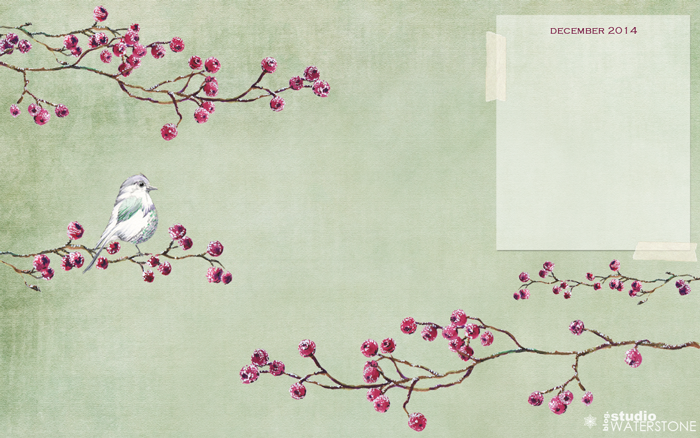 So, without further ado, a little birdie, a few snowy berries and a place to store your active files for December 2014. Click here or on the images to download. One of my very favorites, Lori. all the best to you in the new year Lori!! !